Gameloft's focus is downloadable titles, and with the PSPgo sharing said focus, the company is ready with a line-up of five titles for 2009, including an online multiplayer version of UNO. Not one to miss the downloadable games party, Gameloft aims to be front-and-center this holiday season on the PSPgo and original PSP. The company has sports covered in the form of Real Soccer 2010 and Let's Golf!, while racing and action-adventure fans are catered to with Asphalt 5 and Hero of Sparta respectively. 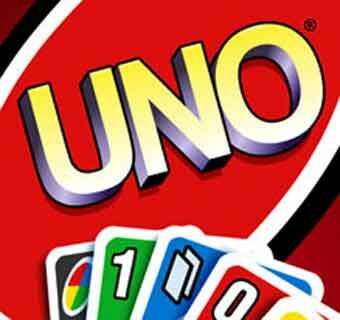 Still, the most exciting title would have to be UNO. Sad, I know, but with the addition of online multiplayer, it'll be like having the Xbox Live Arcade version in the palm of your hand. I can think of worse things to have in the palm of your hand. "For the past 10 years our focus and expertise has been digitally distributed games. From mobile games to iPhone/iPod Touch to next-gen consoles, our success stems from the ability to adapt and evolve on the latest platforms," said Michel Guillemot, president, Gameloft. "The PSP(R)go will contribute to the innovations going on in the gaming space right now and we look forward to being front and center with our games at launch." Check out the official descriptions of Gameloft's offerings below. - Real Soccer 2010 - the famous handheld soccer simulation arrives on the PSP(R)go system. Get immersed in the atmosphere of a live match thanks to true to life 3D graphics and animation. Discover a complete range of game modes and easily perform the most amazing soccer moves. - Hero of Sparta - an epic and colossal adventure with staggering 3D graphics that fully capture the mythological atmosphere. 8 levels to explore and legions of phenomenal creatures to defeat in this odyssey. - Asphalt 5 - a high velocity driving game with more than 15 million downloads sold. Ride the best cars in the world including Ferrari and Lamborghini in high-speed races through 15 of the hippest locations in the world from Paris to Aspen. - Let's Golf! - It's time for you to become a big hitter and drive for the green with Let's Golf! Choose to play with 4 cool and customizable characters across 63 holes in 4 distinct locations remodeled in refreshing 3D visuals from Fiji Beach to the English countryside. - UNO (TM) - play the #1 classic card game with friends and family on your PSP(R)go system. Enjoy traditional UNO(TM) or customize your own game with 9 different rules to play your way. Challenge friends near and far through local and online multiplayer mode.